Independent hot spots perfect for your lunch break! Quirky cafés and restaurants – Birmingham’s full of them. But when it comes to picking a spot for lunch, it’s about finding somewhere that serves up delicious food with speedy service. Whether you’re looking for the perfect place to grab a coffee with a colleague, or a lunch meeting with the entire team – we’ve got you covered. Want to treat you and your lunch date to a Chinese? Cafe Soya dishes out some seriously good food that’s even suitable for Vegans. From hearty noodle soups to tofo dishes and veggie wraps, there’s something to suit everyone! A brand new addition to the city that’s due to open its doors this weekend (February 17), Lucky Duck is bringing a taste of Japan to the Jewellery Quarter. Joining Otto Pizza, The Eight Foot Grocer and Folium, here you can enjoy bowls of warming noodles and a selection of delicious bao buns. And with bowls priced from £8, you don’t have to worry about breaking the bank. This indoor street food venue in the heart of Digbeth is where you can find a fantastic selection of ales and lagers accompanied by mouthwatering pizzas – they even have pale ales suitable for vegans! Neighbouring Otto and Lucky Duck, The Eight Foot Grocer is a great place if you want somewhere quick to pick up lunch on the go. With a selection of freshly made sandwiches up for grabs every day – the bread’s supplied by local bakery Peel & Stone, you’ll find something new on the menu every time you visit. If authentic pizza is what you’re after, then you might want to take a trip to Otto. Blink and you’ll miss it, this cosy pizzeria is one of the many popular places to visit on Jewellery Quarter’s Caroline Street. From a classic Margarita to more adventurous toppings, Otto’s freshly made firewood baked pizzas are sure to leave you feeling satisfied for the rest of the day. Located on Alcester Road, this stylish independent coffee shop serves up all the hearty favourites from toasties to waffles. With a laid-back atmosphere, it’s a great place to take your laptop and make your way through any work whilst sipping on a drink from the wide selection of choices available on Cafephilia‘s menu. 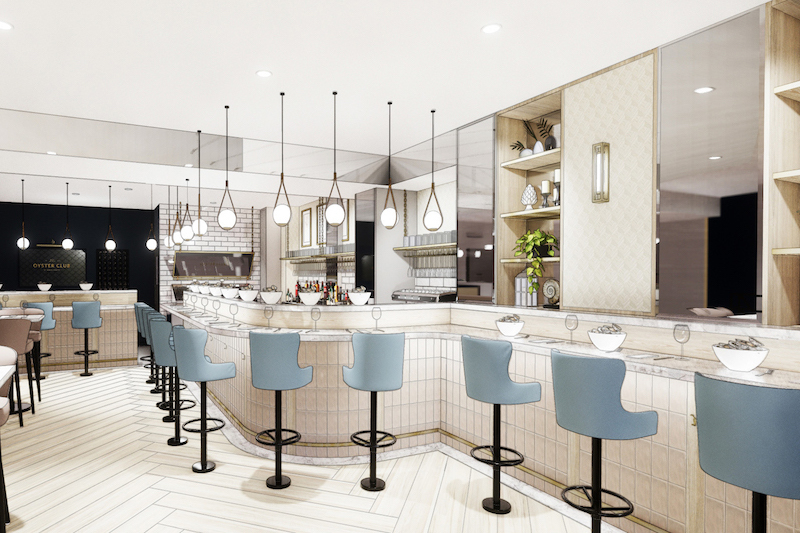 Whether it’s breakfast, lunch, or coffee and cake, Caneat is the super-stylish eatery that you need to have on your lunching radar. Located on Pershore Road, Stirchley High Street, here you can enjoy an array of healthy options from warming bowls of porridge to salad bowls, homemade cakes and toast with both sweet and savoury toppings. It’s well worth the short trip outside the city centre if you want to try something a little different. After opening up on New Street towards the end of the year, Medicine is yet another new addition to the city. Best known for their baked goods – their Cronuts are an absolute must try, trust us – it’s a great place to grab a quick bite right in the heart of the city. Tucked away in Piccadilly Arcade, Sixteen Kitchen & Bakery is the next door neighbour of Faculty. This small but welcoming bakery has freshly baked goods on offer every day, from delicious pastries and cakes to sandwiches and salads. Grab yourself a table and sit back and watch the world go by with a cup of coffee in-hand brought to you by the incredibly friendly staff. Saint Kitchen‘s extensive choice across their three menus is one of the main reasons why it’s one of our go-to places for lunch. Offering everything from all day breakfast, brunches, salads and sandwiches, it’s got a super chilled out atmosphere that makes for the perfect working environment. Plus, their coffee is seriously good and they serve up what is possibly one of the best hot chocolates we’ve ever tasted.